Eucalyptus oil is definitely one of those essential oils that benefit your inside-out health. If we talk about skin specifically eucalyptus oil has got powerful medicinal properties and antibacterial activity. This can help you get rid of various skin problems and infections like acne, oily skin, sunburn, eczema and many more. In short, using this medicinal plant oil can give you healthy and gorgeous skin. 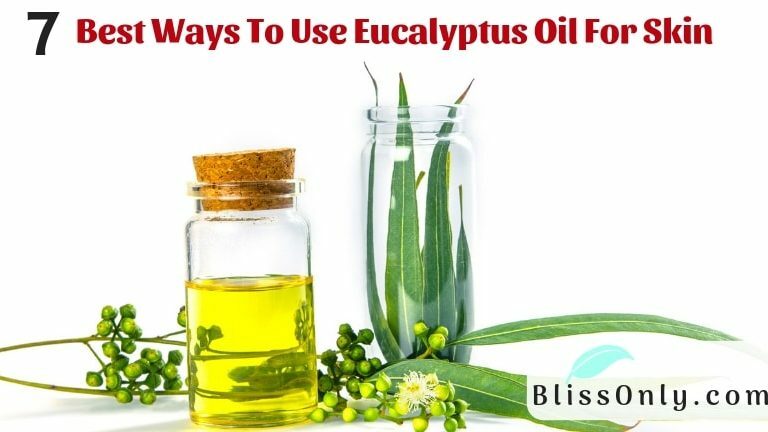 So, in this post, I am going to share some of the best ways in which you can use eucalyptus oil for skin. Now before discussing the uses of eucalyptus oil let me explain why it is so much beneficial for skin. Eucalyptus oil contains powerful antimicrobial properties which kill acne-causing bacteria. This prevents further breakouts. It has antiseptic properties which keep your acne clean and protected from infections. The anti-inflammatory properties of eucalyptus oil reduce helps in healing by reducing swelling, redness, and irritation. Scientific research also suggests that eucalyptus oil’s antimicrobial activity is very effective in inhibiting microorganisms causing acne(source). Eucalyptus oil effectively hydrates and moisturize your skin. This helps in revitalizing dry and dull skin cells. Hence your skin looks soft and naturally glowing. This amazing moisturizing properties of eucalyptus oil also make it a great natural remedy for dry and flaky skin. Exfoliation is very necessary in order to achieve healthy and flawless skin. This gives another solid reason to use eucalyptus oil for skincare. It removes excess sebum and dead skin cells trapped in the skin pores. This makes your skin clear and prevents future acne. If you are experiencing oily skin for too long then your skin is at risk of developing acne and other ailments. Eucalyptus oil works great on oily skin. It controls the overproduction of sebum(oil) by the sebaceous glands. This prevents clogged up pores. Its powerful antimicrobial properties eliminate harmful bacteria and fungi from your skin. This helps in protecting your skin from various infections. Scientific studies show that eucalyptus oil contains antimicrobial effects against many bacteria, viruses, and fungi(source). Eczema is a skin condition that causes a person’s skin to be inflamed, itchy, red and dry. Eucalyptus oil moisturizing properties soothe the dryness and itching. It contains analgesic and anti-inflammatory properties. This helps reduce inflammation, redness, and pain associated with eczema. Scientific research suggests that essential oils of eucalyptus contain analgesic and anti-inflammatory properties which is why the eucalyptus essential oil is reported used in Brazilian folk medicine(source). Eucalyptus oil contains powerful antiseptic properties that cleanse the wound and prevent it from infections. It also inhibits the growth of bacteria, fungi, and other harmful microorganisms. This helps in healing cuts, scrapes, and wounds. Eucalyptus oil is one of the best essential oil for sunburn. Its anti-inflammatory properties reduce swelling and redness of your sunburn. While Its analgesic properties give you relief from pain. Now let’s take a look at some of the best ways that you can eucalyptus oil for healthy and glowing skin. Using a funnel pour rosehip oil and carefully add eucalyptus oil in a dark colored glass dropper bottle. Shake well and apply 4 to 5 drops of oil on your cleansed face. Rosehip oil is high in vitamin C which unclogs pores by removing excess oil and dead skin cells. It also contains powerful antibacterial and antifungal properties which eliminate acne-causing bacteria and other microorganisms. This helps in making your skin clear and acne free. Tea tree essential oil contains antibacterial and antifungal properties. This helps to kill bacteria and other harmful microorganisms that cause. Its anti-inflammatory properties reduce swelling and redness of your acne. 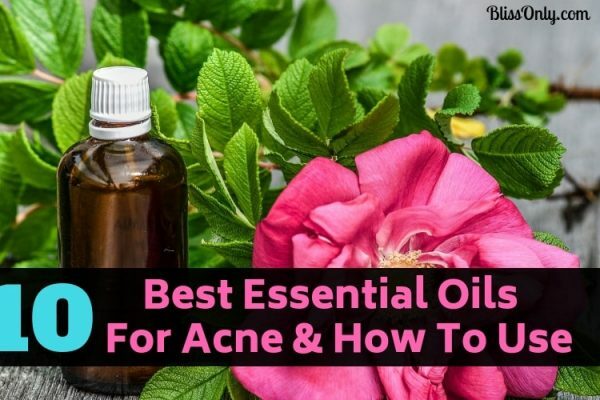 Scientific studies suggest that tea tree oil is as much effective as benzoyl peroxide( a chemical used to treat acne) for the treatment of acne(source). Pour all the ingredients together in a dark-colored dropper bottle container. Jojoba oil is one of the best carrier oils for moisturizing skin. It deeply penetrates your skin and hydrates your dried skin cells. It also balances the sebum(oil) production. This helps in retaining the moisture as sebum creates a powerful barrier against moisture loss. Hence jojoba oil perfectly blends with eucalyptus oil to make your skin soft and naturally glowing. Scientific research suggests that jojoba is a very important ingredient in cosmetics formulas such as sunscreens and moisturizers. It also enhances the absorption of topical drugs(source). First of all, wash your face with your regular cleanser. Now apply sufficient sugar scrub to wet skin. Massage in a circular motion for 3-5 minutes. Now rinse it off properly. You can adjust the proportion according to your need of use. Make sure to store it in a glass container. Sugar is very effective in exfoliating your skin. It removes dead skin cells and all toxins clogged in pores. This makes your skin clear and naturally bright. 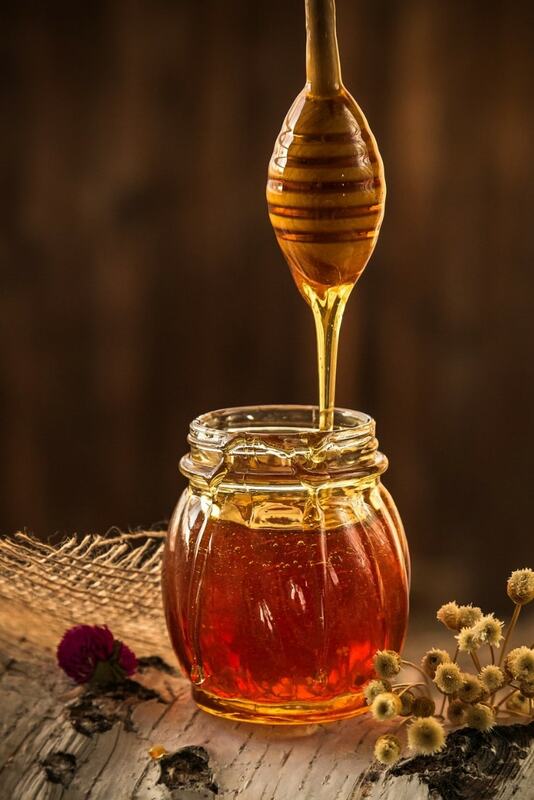 Honey contains antibacterial and anti-inflammatory properties. This keeps your skin protected from infections. Olive oil is high in vitamin E and essential fatty acids which keeps your skin healthy. It also unclogs pores and balances the skin’s sebum(oil) production. Argan oil contains vitamin A which helps control excess sebum(oil) production. Vitamin A also reduces inflammation and clears your skin off dead skin cells and toxins. It is a rich source of vitamin E which moisturizes your skin and promote cell regeneration. 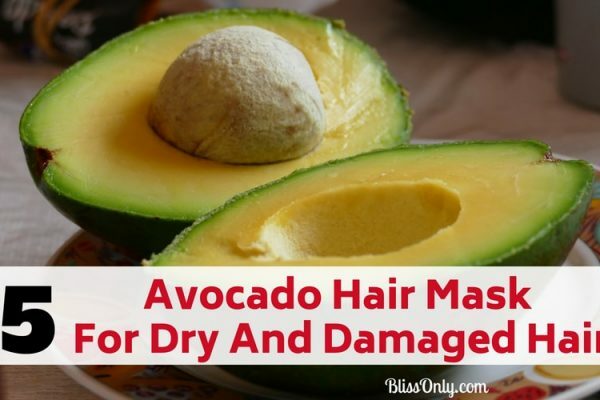 This makes your skin rejuvenated and glowing. Shake well and apply 4 to 5 drops on the site of the eczema inflammation for rapid relief. Coconut oil is a rich source of lauric acid which makes it an effective carrier oil to soothe eczema. Lauric acid contains antibacterial and antifungal properties. This helps to kill bacteria, fungus and other microorganisms infecting your eczema. Coconut oil moisturizes your dry eczema skin. Its emollient properties make your skin soft and relieve itching. Calendula oil is another carrier oil that works great on eczema. Just like coconut oil, it has antibacterial and antifungal properties that help disinfect your eczema. Its powerful anti-inflammatory properties reduce swelling, redness, and irritation. Apply 4 to 5 drops or 1 pump on the area concerned. 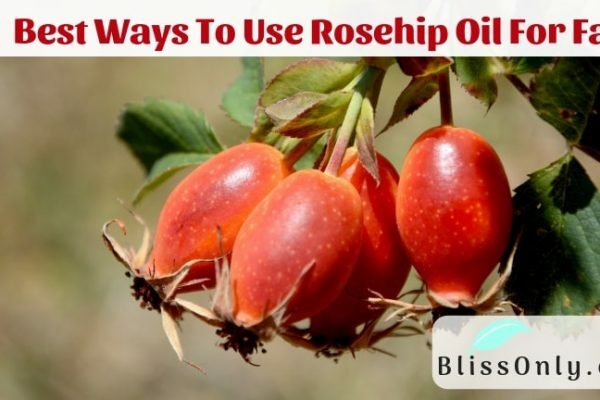 Rosehip oil is an effective natural remedy for cuts, scrapes, and wound. It has essential fatty acids and vitamin C which helps in cell regeneration as well as repairing damaged cells. Vitamin C also boosts collagen production which helps in the healing of wounds. The lavender essential oil contains antiseptic and antimicrobial properties. This helps in cleaning your wound and scrapes. Its anti-inflammatory properties reduce swelling and pain. Apply 4 to 5 drops or 1 pump on the sunburn area. 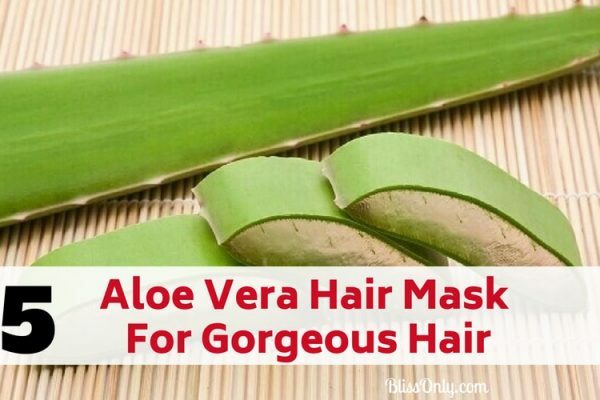 Aloe vera gel is very soothing for sunburn. It hydrates your sunburnt skin and relieves burning sensation. It contains glycoprotein which helps in reducing pain and inflammation. Peppermint essential oil contains analgesic properties that give you relief from the pain of sunburn. It contains menthol that soothes sunburnt areas by providing a cooling sensation. Although eucalyptus essential oil is very beneficial for the skin, But I recommend you to use by taking the following notes into consideration. Pregnant women, infants, and young children should avoid certain essential oils. so be sure to do your homework beforehand. Keep the DIY recipe container away from sunlight. If You have any skin disease, chronic health condition then consult your medical practitioner before applying essential oil on your skin. Eucalyptus oil has powerful antiseptic, antimicrobial and analgesic properties. This makes it one of the best natural remedy for healing. Including this beneficial essential oil in your skincare routine would make your skin healthy and glowing. Now you know the best ways to use eucalyptus oil for skin. So grab a bottle of eucalyptus essential oil and start using it right away. Did you find this post on eucalyptus oil helpful? Please let me know in the comments down below.